Who is your bias in BTR? Big Time Rush was an American pop music boy band formed in 2009. The group consisted of Kendall Schmidt, James Maslow, Logan Henderson, and Carlos Pena Jr.The group starred in Nickelodeon's television series Big Time Rush and signed to a record deal with Nick Records simultaneously with the television series, and then the group was eventually signed to Columbia Records. The show ran from November 28, 2009 to July 25, 2013. 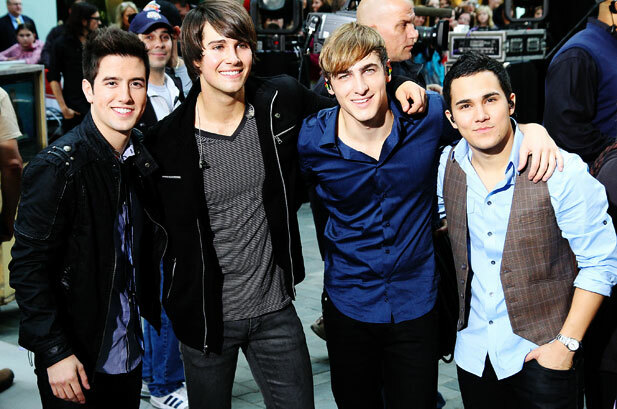 The pilot episode featured the group's first promotional single, "Big Time Rush". They have released three studio albums which all achieved success. The band stopped performing in 2014. Discussion Who is the true queen of American pop?